An element of courage can never be discounted when writing about ‘the life unexpected.' The desire to tell the truth stokes the fire within the writer to reveal the ‘taboos’ that make story both inspiring and instructional for writer and reader. I’ll let you judge, but the stories in The Life Unexpected: An Anthology of Stories and Poems, released this week, speak for themselves. Open yourself to the “twists and turns” of ‘ordinary' lives that take an unexpected trajectory ... told in the voices of your friends and neighbors; your lovers and confidantes; your sisters and daughters. Forget stereotypes -- this is no Ozzie and Harriet Land -- and enter a world where a young woman moves beyond gender identity; a mother’s bigotry destroys her daughter’s chance at happiness; a drunk driver leaves his soul behind on a dark Colorado night; a woman's affair with a married man shines light on a spiritually bereft life; a 'vision quest' portends the coming self-help movement. This is real stuff, not some pap that most of the book world foists off on us. For all sixteen of us who contributed to this project begun last spring, The Life Unexpected meant writing out of the comfort zone. This is women finding the freedom of voice in the written and published word. 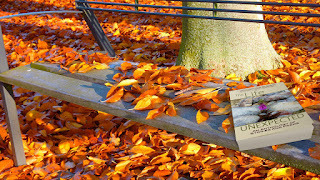 The Life Unexpected is the third anthology in the last four years I have participated. I love the possibilities of the anthology. In this era of publishing opportunities, an anthology is an eclectic offering of published and unpublished writers, showcasing budding talent and giving new writers a “leg up” on a writing resume. The anthology is a creative collective built around a unifying theme. 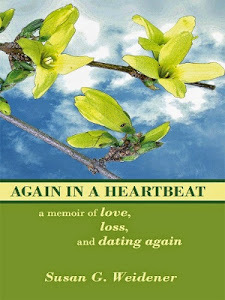 Maybe more than the other two anthologies (Slants of Light and My Gutsy Story Anthology), this book reflects changing attitudes and lifestyles about those things often considered better left unsaid. These are the secrets buried beneath the ‘taboos’ of a repressive society that discourages women from voice and the truth of their lives. That’s why I’m so proud of this book. 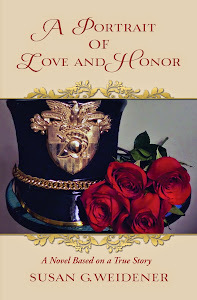 Along with Rae Theodore, Ginger Murphy, Patty Kline-Capaldo and Maureen Barry, I had the privilege to edit this collection of prose and poetry. In my fictional short story, "Lydia’s Choice," an older woman reminisces about important turning points, including her decision to terminate a pregnancy before marriage when she was a young woman. The abortion is a shameful secret she has shared with only a handful of people, fearing that she will be judged harshly for her choice. As she looks back on her life, Lydia has raised a son on her own, accepting that no one person can rescue her, least of all a poor choice. She makes a conscious choice to be the best parent she can. This is the most sacred of covenants. Her child did not ask to be born. The story behind "Lydia’s Choice" is one I needed to tell for a while, both for personal and political reasons. It continues in the tradition of the women's journey I have embarked on in the last six years through my creative writing. In this essay Freeing the Writer and the Woman, I wrote about my stories in Slants of Light: Stories and Poems from the Women's Writing Circle. Who is Lydia? I imagine her walking a wooded path, alone, as sunlight filters dusky shafts through trees; a strong woman, she often questions herself. Like many women, she once loved deeply and suffered heartbreak. Like many women, she knows it has always been up to her to make the most of the life unexpected, to honor her choices and move forward. Like many women, she understands that having a baby is ultimately a woman's choice. Stories offer connections and hope that we are not alone. Let The Life Unexpected make you cry and nod with recognition that perhaps (no doubt! ), you, too, have taken this journey. Throughout the month our authors will continue to share their ‘stories behind the stories’ in The Life Unexpected. 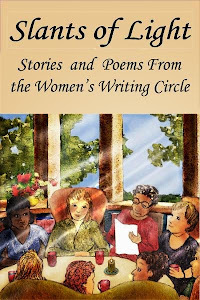 Order here a signed copy of the anthology through the Women's Writing Circle. 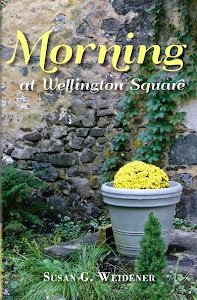 Visit Susan G. Weidener's author page. 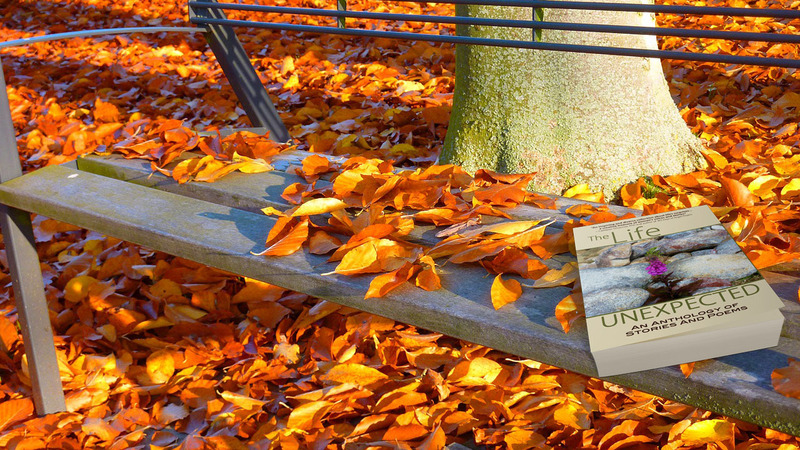 The Life Unexpected: An Anthology of Stories and Poems, created by sixteen writers from the Philadelphia area, offers diverse perspectives and experiences of women’s lives as told through fiction, memoir and poetry. In this compact collection, life’s surprises and revelations along the journey of ‘the life unexpected’ are revealed, offering a new way of looking at the world. The book contains 10 beautiful black and white photographs that enhance the prose and poetry. Two Philadelphia-area writing groups, the Women’s Writing Circle and Just Write, collaborated on The Life Unexpected (Lucky Stars Publishing). Proceeds benefit the Women’s National Book Association, a nonprofit promoting reading, and Women’s Writing Circle, a support and critique group for women writers.